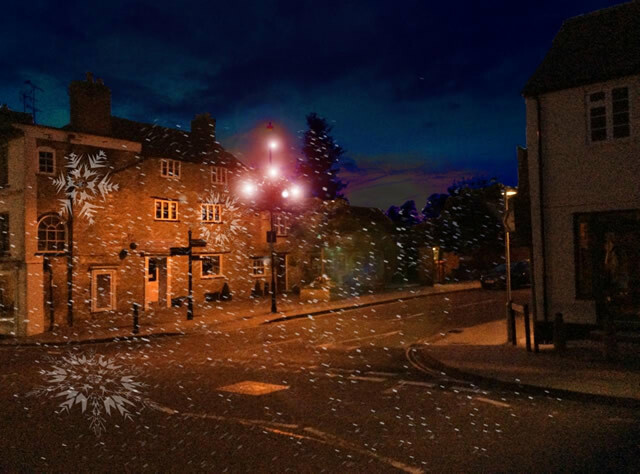 The Wincanton Town Team promises an extraordinarily modern High Street light display to celebrate the 2015 festive season – and you’re all invited. 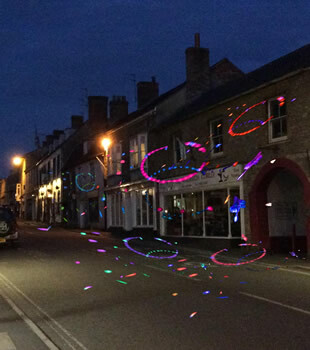 The Somerset market town of Wincanton is preparing to be illuminated in a way fitting for this unique and vibrant town. A thoroughly modern display of oversized snowflakes, mirrored reflections and laser light configurations which have been designed, created and installed by local light sculptor Zac Greening, will light the town on Friday 4th December 2015 to coincide with the town’s Christmas Extravaganza. This year’s display is certain to be a highlight of the town’s festive activities, adding a touch of modern art to the usual traditional displays. The lighting display has been made possible thanks to contributions from The Mayor’s Fund, Wincanton Town Team, Wincanton Chamber of Commerce and local business traders. The Wincanton Town Team is a voluntary initiative formed in 2011 to improve the town of Wincanton for residents, business and visitors, with a focus on the preservation and enhancement of the High Street.